Service Analytics helps your team answer 5 crucial questions. Is your customer service department using data to increase customer satisfaction and retention? Do your service reps have a 360-degree view of customers, and understand how to minimize churn? With Service Analytics you can quickly explore data and find the answers, without waiting on data analysts or IT. 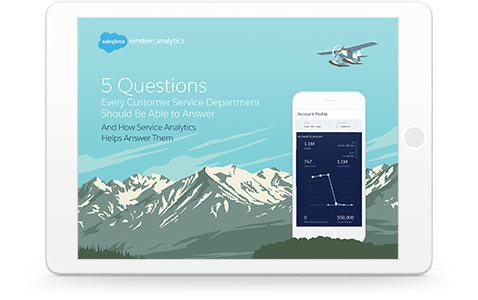 This e-book highlights the five questions every service rep should be able to answer, and explains how Einstein Analytics can help you answer each of them.